@tatabonita : yup Tata, J-List has many cute bento accessories but I think it will be expensive for the shipping fee to Indonesia, don't you think? 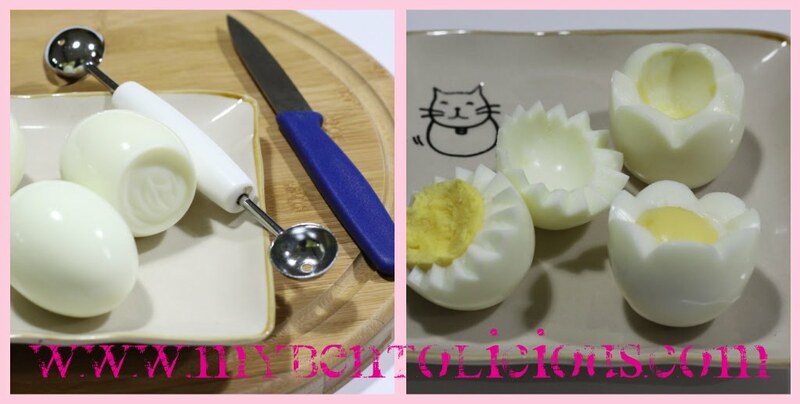 You can try www.bentocraft.com or www.nst.my (from Malaysia). ha ha ha, if u didn't say tat was DH's hands I wouldn't have think otherwise. Thank you for sharing! Oh dear, my knife skills are bad and I'm clumsy, but glad to learn the trick of making the beautiful flower. @noobcook : Thanks for your comment Wiffy.